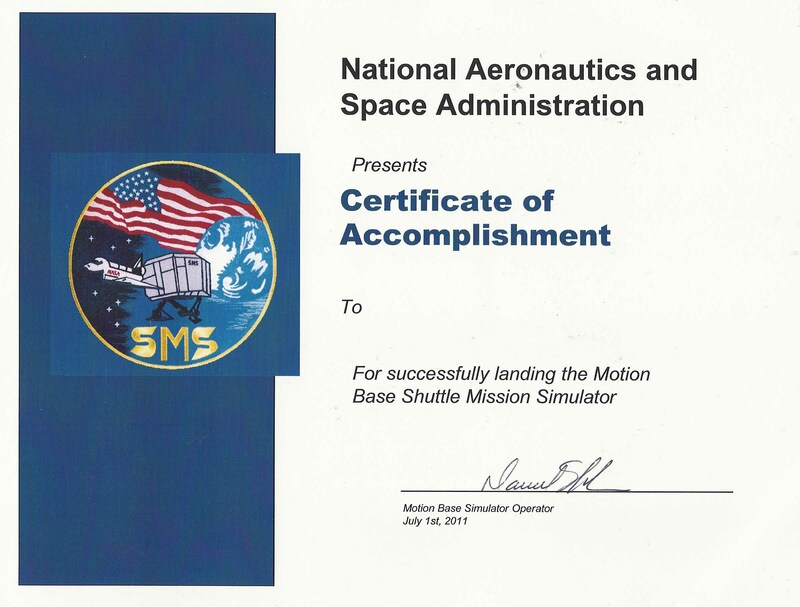 If you can successfully land the shuttle using the simulator, NASA/JSC will award you a certificate -- fill in your own name. Astronauts train both at Johnson Space Center, and in Russia. Language on the International Space Station is both in English and Russian. Astronauts must be fluent in both. 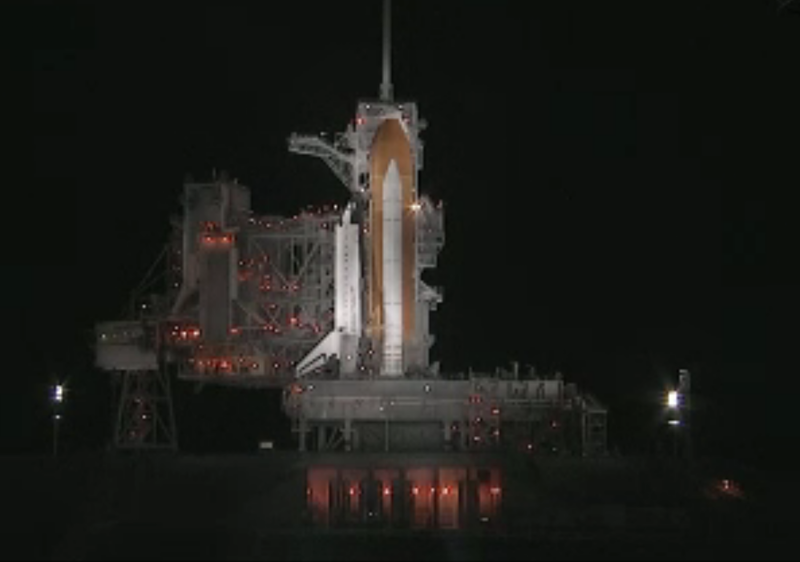 After the STS-135 NASA Mission, the United States will have no way back to the ISS except on the Russian Soyuz. The tab will be $55-million per ride, tips for the driver are included. American Astronauts during the American shuttle program trained in Houston where extensive mockups of the shuttle, ISS, the space shuttle OV-95, flight simulators, and a visual reality lab, were located. “Come fly the shuttle.“ On Friday afternoon, July 1, 2011, NASA invited any accredited media who were interested to their facilities and offered opportunities to fly the simulators. Few took the opportunity — in our group there was only one other person, wife of a NASA employee, who trooped along. Pete Crow docking Space Shuttle OV-95 to the International Space Station 230 miles above the Red Sea in a NASA avionics simulator at Johnson Space Center, Houston, on Friday, July 1, 2011. The joystick on the right of the picture, and a button out of view under his left hand are the only docking controls. Docking takes place on the flight deck with the Commander facing towards the bay and the back of the shuttle while looking into the bay, and down at the docking hatch which is located in the bay. Shuttle commanders dock; shuttle pilots (second in command) undock. 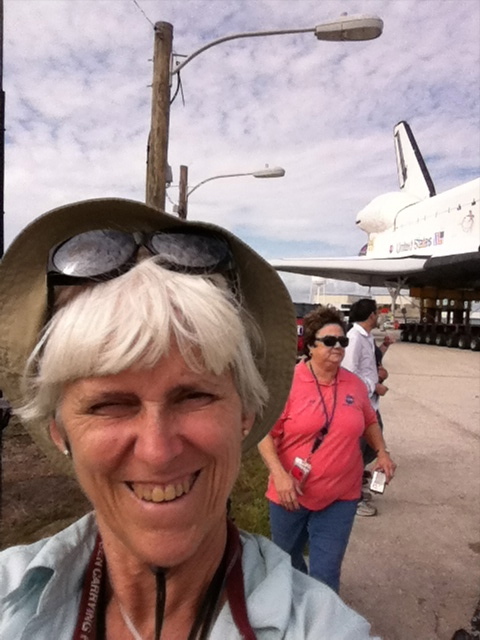 In all Carol Anne landed the shuttle twice from 10,000 feet successfully landing on the SLF in Florida. 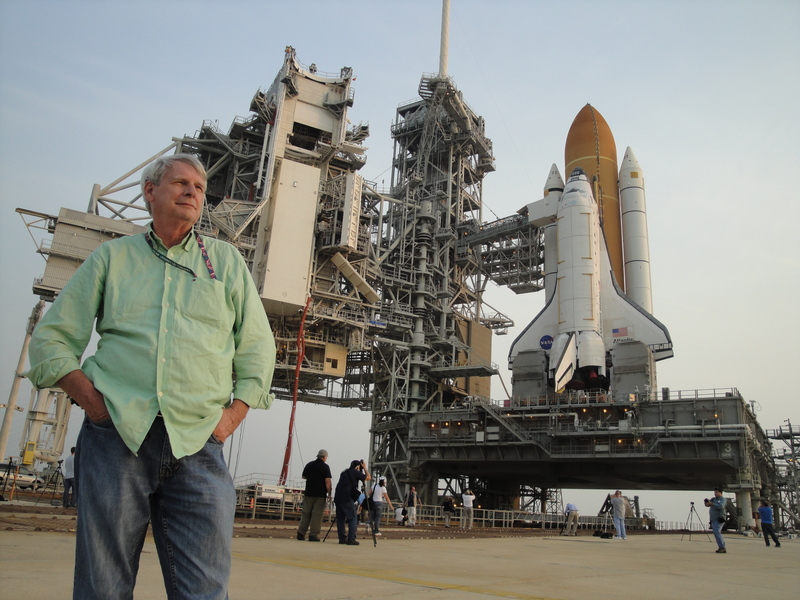 Pete landed the shuttle once, and docked the shuttle with the International Space station. “My career ended today.“ July 1, 2011, ended use of space shuttle simulators at Johnson Space Center. 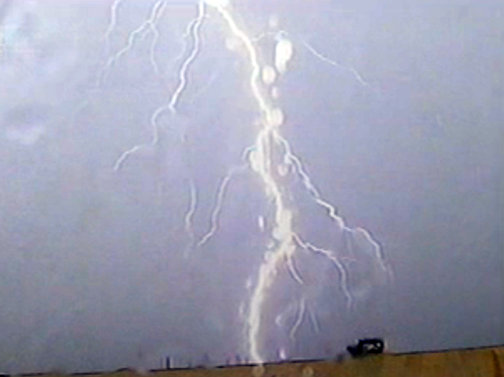 On Friday morning the crew of the Atlantis, STS-135, spent four hours on the simulators. In the afternoon we were invited in to fly the simulators. Shortly before 7 pm, in the control room of the simulators at Johnson Space Center, Pete ran out of questions for the man who ran the simulator control room. The simluators will be broken up and sent to scrap or to universities before the end of July. 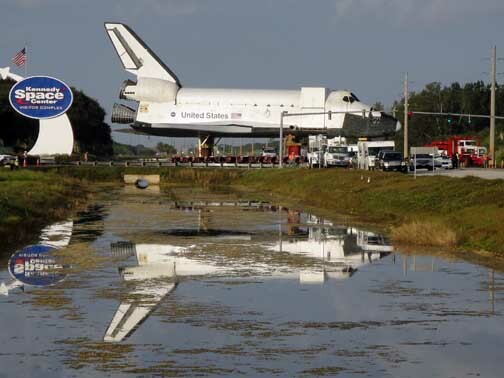 The personnel who ran the simulators and maintained them will leave NASA when the STS-135 misson lands and ends in Florida. They keep their jobs, with nothing to do, through the landing of the shuttle in case something goes wrong and they need to assist Atlantis and its crew. 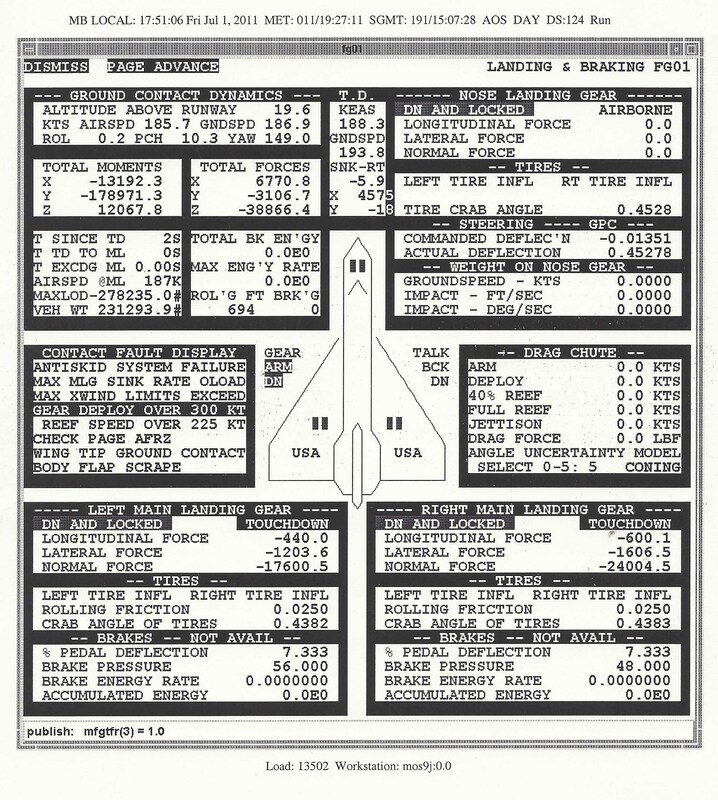 When you fly the space shuttle simulators, the control room monitors everything you do by video camera, and computers compile a huge amount of data on each action you take. A flight instructor sits in the right hand seat beside you in the pilot seat giving gentle encouragement from the start of the simulation at 10,000 feet to wheels stop on the Shuttle Landing Facility (SLF=runway). On the day Pete flew the simulator the approach was from the north and landing was on Runway 15. In landing, the flight instructor encourages flying by the heads up display from 10,000 feet the final seconds of the landing. 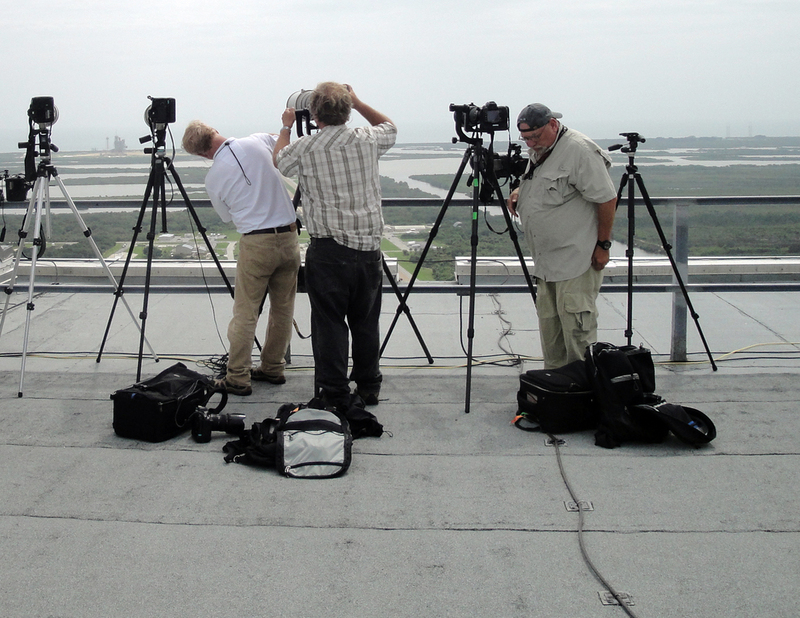 The runway is in view once the shuttle completes its final bank. In the final seconds, the flight instructor encourages flying both the runway and the headsup display. The pilot (flight instructor) drops the landing gear and deploys the parachute once on the ground. In all four astronauts fly on the shuttle flight deck and all four are monitoring and assisting the commander in the approach and landing. 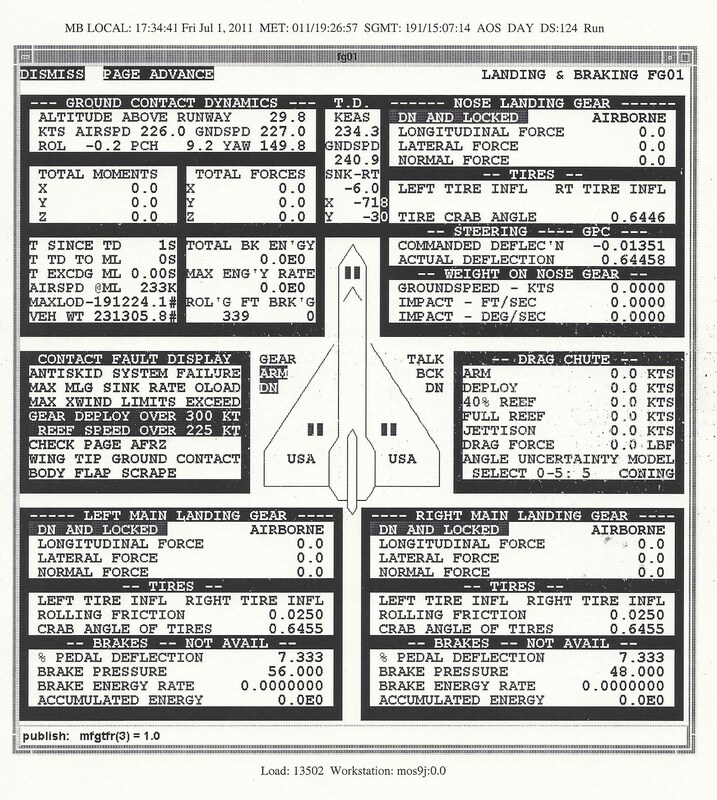 This is the report on Carol Anne's second of two landings of the shuttle. A trained eye, comparing it with Pete's landing just above, will find Carol Anne's landing was vastly superior to Pete's. 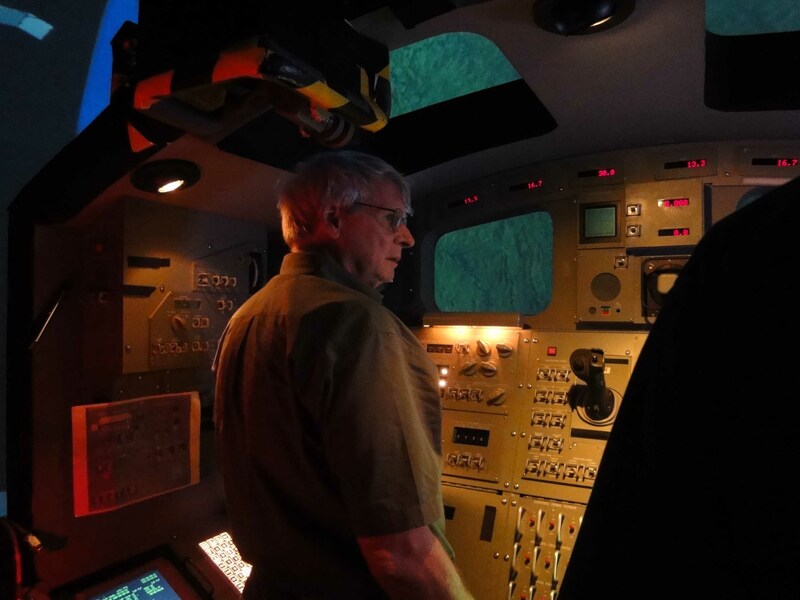 In all about 20 members of the media flew the simulators on Friday afternoon, July 1, 2011, and no one dumped the shuttle into the Atlantic Ocean. A flight instructor was sitting in the right hand seat offering advice and encouragement, and was responsible for the 100% success rate. Atlantis edged closer to its planned July 8, 2011, launch on Friday, June 17, 2011, when the payload for its bay arrived at Pad 39-A at Kennedy Space Center, Florida. Friday was employee day at the Pad. 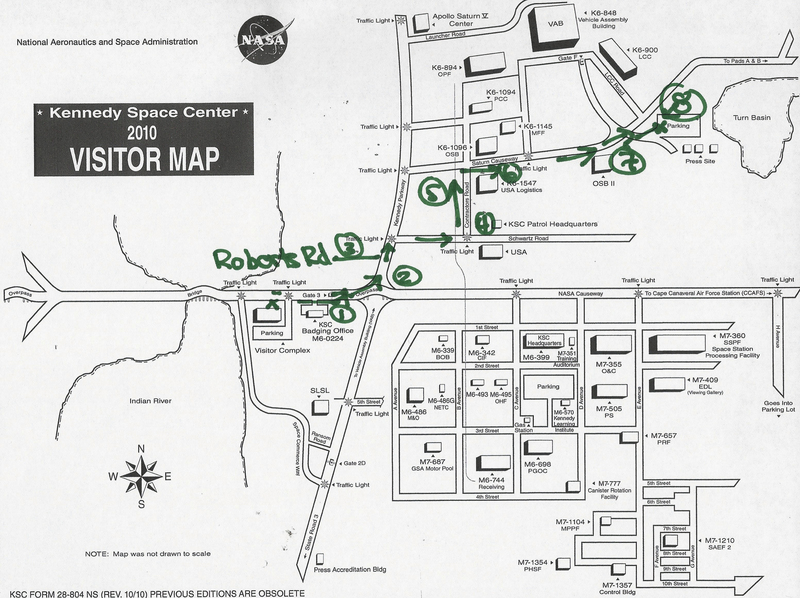 All KSC employees who wished to visit the Launch Pad were invited to do so although, unlike the press, they were not allowed to go onto the Pad itself, or up on the Rotating Service Structure (the RSS). 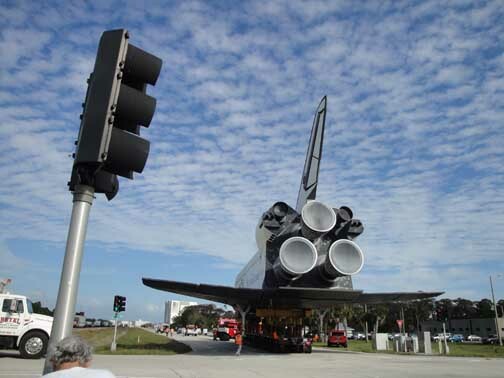 The RSS is currently retracted from the Shuttle, and in the photograph is behind and to the right of Pete. 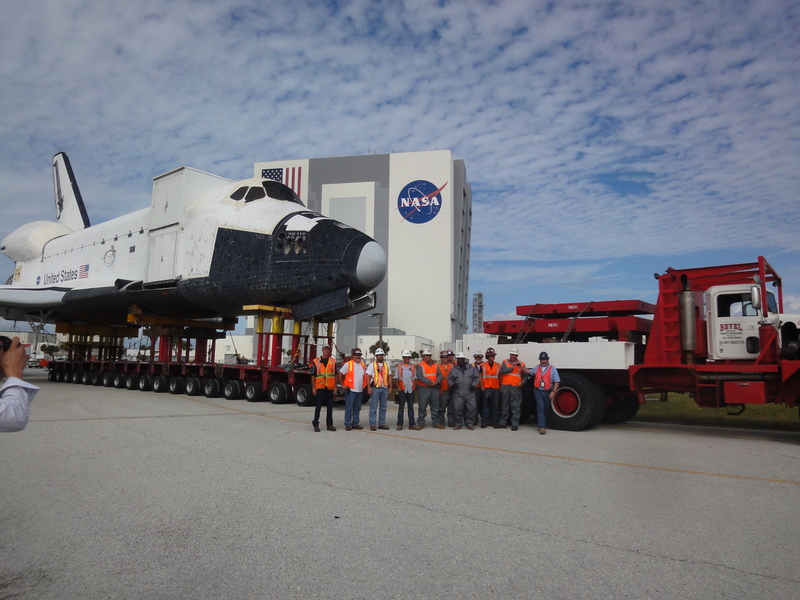 But beginning on Monday and until about 18 hours before launch, the RSS will be tucked around and protecting the Shuttle allowing, among other activities, the payload to be placed into the Atlantis’ cargo bay. 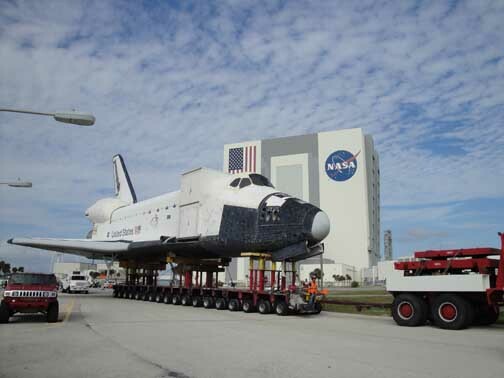 The cargo on this final launch in the shuttle program’s 30-year history includes provisions for the International Space Shuttle for a year and an innovative new way to re-energize fading satellites in space. 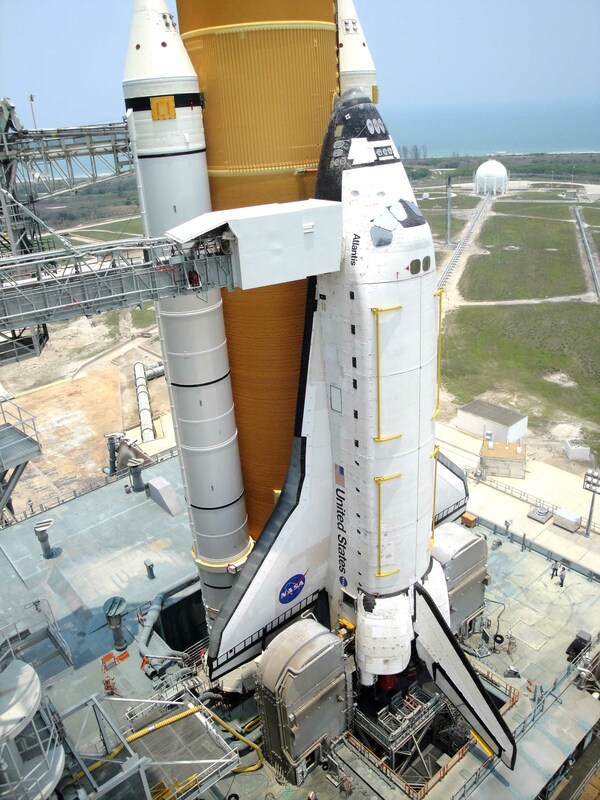 When STS-135, the current mission, ends in late July, NASA will have launched its shuttle fleet 135 times with two tragic mishaps, a safety record far better than the estimates at the beginning of the program in 1981 when one estimate anticipated the loss of a shuttle every 25 missions.